ABA Beliefs - I Love ABA! 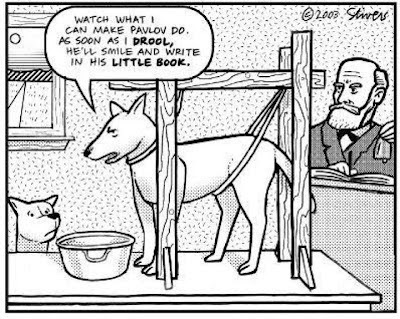 Behaviorism is the science of behavior. As ABA professionals, behaviorism is our foundation, our focus, and our philosophy. Behaviorism explains behavior by focusing on the environment and what is observable and measurable, not by looking at emotion, thoughts, or internal processes. Behaviorists are careful to work within our limits, and to seek referrals or outside help when there may be internal issues causing behavior (such as medical conditions like seizures, tumors, acid reflux, etc). If you are not applying strategies and interventions based in behaviorism, then what you are doing is not ABA. 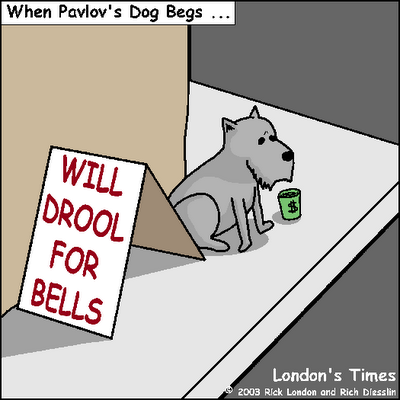 Ever since I learned about behaviorism in college, I was immediately hooked. My love for behaviorism led me right into my love for ABA. There are certain ABA beliefs that I have and that I rely upon to do my job and to help families. They are like a context that I view every situation through. Being a behaviorist, I tend to look at any situation that needs change (conflict with a family member, house training a puppy, giving advice to a friend) from a behavioral perspective....its just natural to me at this point. I focus on what is occurring in the environment to better understand the situation. If you are a lover of ABA, then you need to have a system of ABA beliefs that you base your decision making on. Especially with so many incorrect applications of ABA out there, you need to know what is true and hold on tight to it. My job is all about making difficult decisions, and sometimes I might not know how to approach a situation, what to do next, when to seek outside help, or when an intervention isn't working. When that happens I lean on my ABA belief system so I can be confident that I am making sound decisions. ALL behaviors occur for a reason- Yes, all behaviors. Teachers, therapists, or families will often tell me things like "It just happened/She did it for no reason/It was completely random". It is then my job to determine the cause of the behavior, since ALL behavior serves a purpose... especially ongoing, persistent behaviors. Behaviors result from a combination of learning, reinforcement, and/or punishment- Some behaviors are innate/biologically based such as reflexes babies are born with. But typically behavior is the result of learning (interacting with the environment), reinforcement (something desirable happened after the behavior), or punishment (something undesirable happened after the behavior). Its important to understand how behaviors come to be, so you know how hard it is to remove behaviors. If a child has been throwing toys in daycare for several months, it is going to take some hard work to extinguish that behavior. ABA professionals intervene on behaviors only- Can I make your child think his sister is great? No. What I can do is teach your child appropriate play skills, social interaction skills, and model appropriate peer behavior so that over time he can demonstrate more positive social behaviors towards his sister. ABA brings about change in behavior, not in attitudes or opinions. We remain behaviorists in our language and observations- If I am observing a child in the home and he aggresses at his brother I am going to describe that as "Child was sitting and stacking blocks with his brother. The brother began to create a block tower when child reached over with an open hand and hit his brother on the shoulder. The brother cried, and the child went back to stacking blocks". What I am NOT going to say is "The two kids were playing together and having a great time when out of nowhere he pops his brother really hard, to make him cry". I am going to report on what I saw and observed and not make guesses at motives or thoughts. The 3 term contingency (A-B-C) describes a relationship- A led to B, which led to C. Therefore, if A or C is manipulated, B is affected. You could also say that A+B=C. We bring about socially valid change- Social validity means something is considered important by people close to the child. Usually this will be the parents. When working with a family, it should always be a 2 way communication where you recommend behaviors to work on, and the family agrees or disagrees with those recommendations. As professionals we focus on necessary life skills, communication deficits, and maladaptive behaviors, before we begin teaching other skills. For example if working with an 8 year old it is much more socially valid that he can independently use the bathroom, than that he can count to 5. We intervene in the natural setting of behaviors, where they usually occur- I will work with a child wherever I am needed. That is usually the home, and may be the school. It also could be church, the grocery store, Grandma's house, Six Flags, Burger King, etc. This is one of the unique things that sets ABA apart as a therapeutic method. If a family tells me that every week at church their daughter has a meltdown, I am not going to say "Well here are some things to try, let me know how that works out". I am going to say "Okay, well I'm coming with you next week to see what is going on". We go where we need to go, to see the behavior in action. Any learned behavior can be "unlearned"- By determining the function of a behavior, ABA professionals seek to alter, or disconnect that functional relationship to cease inappropriate behaviors. It may take time, effort, and patience, but it can be done. We as professionals have to be confident that ANY behavior no matter how persistent and challenging can be improved, so that these families can have confidence as well. The environment is key to explaining behavior- Behaviorists believe it is the environment that maintains behaviors. If a child screams in school every day when the bell rings, I am going to examine the relationship between bell ringing and screaming. I am not going to examine if the child hates bells and likes screaming (hate/like are emotions, not behaviors), or if the child was deep in thought and disrupted by the bell ringing. I am going to focus on what is going on in the environment to explain the behavior. We believe in early intervention- Most people think of early intervention as working with very young children to get them the skills they need to function within the classroom or the community. That is one aspect of early intervention, but it also means to intervene on a behavior as soon as possible. Behaviorists believe that it is always better to intervene on a behavior before it has been fully learned and is persistent. So if a child begins a new behavior of taking off their shoes at school, it is strongly advised to begin nipping that in the bud immediately. If not, learning will occur making it much harder to extinguish the behavior and the behavior may escalate over time (child moved from taking shoes off, to taking pants off, to removing her shirt). We believe behavior is key to improving quality of life- I think the reason at the core of why any client seeks ABA therapy is quality of life. Clients may have many different presenting problems, or ask for help about a variety of different skills, but really what they want is to improve the life of the person whom they love. Behaviorists believe that through teaching appropriate behaviors and extinguishing inappropriate behaviors, we are helping people live better lives. Most skills that you can think of that a functioning adult in society should posses are really a series of behaviors that can all be taught. A solid understanding of behaviorism is critical for this field. 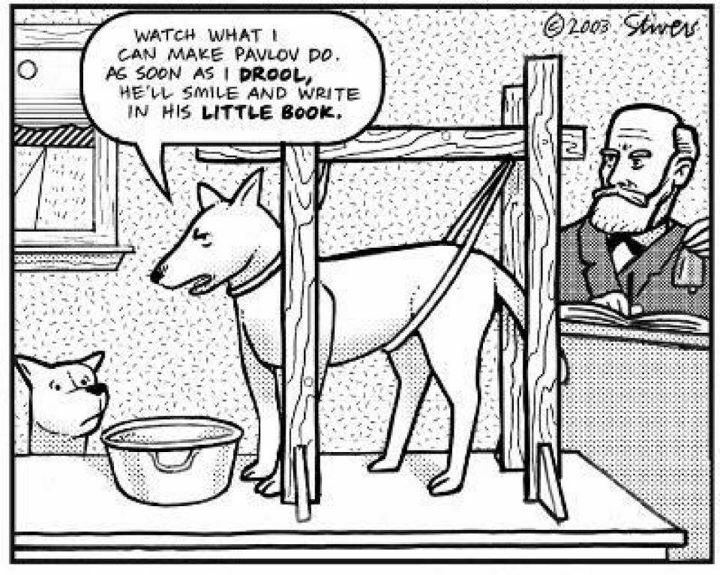 For more information about behaviorism theory I would recommend researching the works of Ivan Pavlov, B.F. Skinner, and John Watson.